Falcon Fascias is the division within Falcon Windows which specializes in the complete replacement of wooden fascia boards, barge boards, soffits and cladding with plastic products. Extruded to the highest standards and often available in several colours, once installed, these products have the advantage that they are completely maintenance free. Nobody likes climbing up ladders and painting their fascia boards. It's not only dangerous work, but it's work that really needn't be done at, if you choose to have first class plastic roofline products installed professionally. But why replace when you can repair? 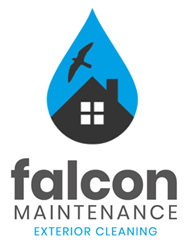 At Falcon Windows we carry out repair work for homeowners and small businesses throughout Suffolk and North Essex. In fact, no other company in the Suffolk offers a home improvement service quite like Falcon Ipswich. We've established an unrivalled reputation for window repairs and refurbishments alongside our main windows and conservatories installation work and that's all down to our high standards of craftsmanship and glazing knowledge won as result of well over thirty years in the business. No wonder more people choose us for roofline installations! Fascia boards, bargeboards, down pipes; cladding, soffits and guttering in white, rosewood, brown, light oak or Tudor black - at Falcon Windows we offer a great selection of high quality roofline products in colours which will enhance the look of your property. The 'Free Foam' range is our roofline product range of choice as they offer high quality PVC-u roofline fascias, soffits and cladding which are virtually maintenance free. When it comes to installation, your new u-PVC fascias will generally be totally removed and replaced with 18mm jumbo PVC-u boards. For the replacement to take place, the roof tiles have to be lifted up 2-3 tiles. The existing felt is then lifted up and metre long, vented under-eaves support trays are installed which also double up as bird guards. After this, the tiles can be re-laid down on top and any gable verges re-cemented where required. Fascia boards on flat roofs tend to be capped over (depending on their condition) to avoid disturbing the roof felt which is often very old and brittle. Upon removal of existing fascia boards, should ther be a need for additional work such as replacing rotten timbers or realigning joist timbers to make sure the fascia boards are installed level, we reserve the right to charge additional labour at £25 per hour per man. When we talk about roofline product, we're referring to the point where your roof meets the outer walls of your house. If you're looking to replace the roofline products on your property, we fully appreciate that there's an apparent over-abundance of look-alike companies out there in today's marketplace, so choosing a quality roofline contractor can be quite a job in itself. At Falcon, our friendly and experienced team is on hand to answer your specific questions regarding any prospective roofline work and we provide free, no obligation estimates for any proposed work with a zero pressure approach. We'd be delighted if you gave us a call and we're always happy to help. How we finish off our gable ends on our fascias. Need your fascia cleaned or your guttering unblocked?